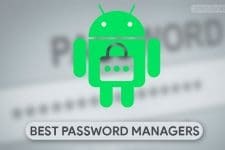 There has been a growing craze among the Android users for applying dark wallpapers for their Android devices. 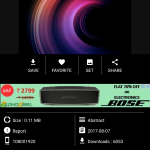 This is partly because of the fact that the latest Android flagship devices come with AMOLED displays which are known to have true blacks which are much better than the blacks seen on LCD displays. Also, the reason behind applying dark wallpapers or black wallpapers to your device could be because of the lower battery consumption that takes place due to fewer colors. 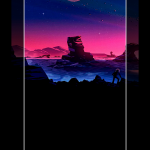 It is a widely known fact that if you apply dark wallpapers which have very fewer colors or even better, Pitch Black Wallpapers than the battery life on your device would improve leaps and bounds. 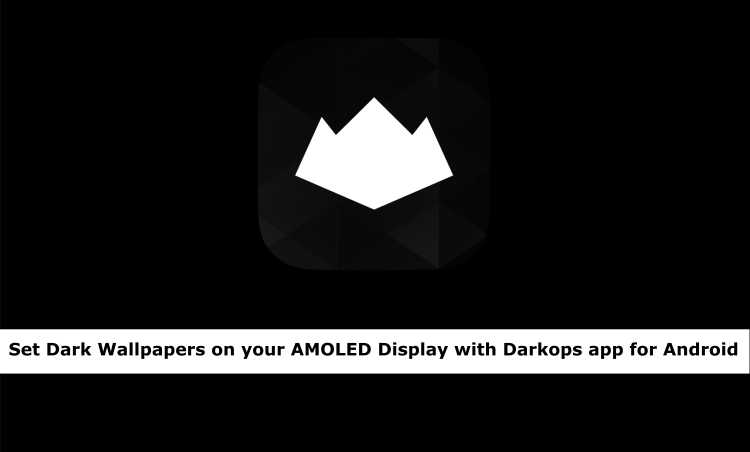 Now that the dark wallpapers have benefits in terms of battery consumption and the fact that they look great on AMOLED displays, people have been using wallpapers optimized for AMOLED displays and one such app available in Google Play Store which provides a wide range of dark wallpapers suitable for AMOLED displays is the Darkops app. 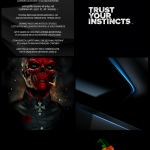 The Darkops app provides a wide range of wallpapers for your Android device and the app is available for both phones as well as tablets. 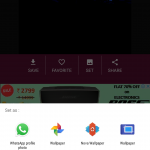 The app is simple to use and when you first open the app, you will see 4 tabs on top and the default tab which will open on startup is the recent tab which shows the most recent wallpapers that have been added to the app. 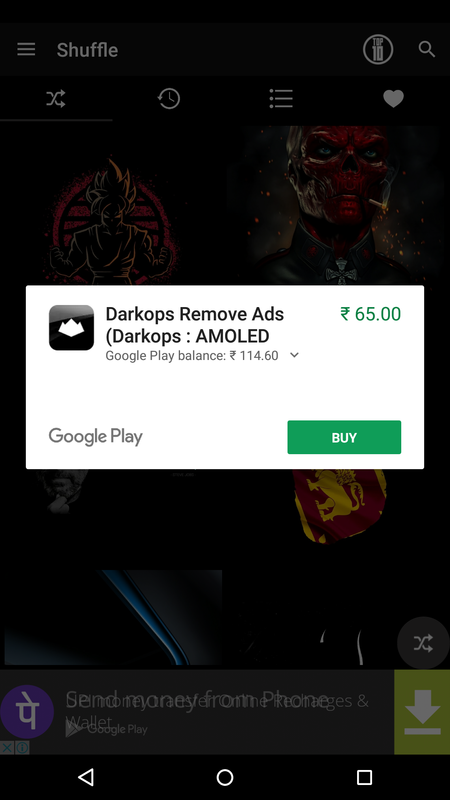 The next tab in the Darkops app is the Shuffle tab which can be accessed by swiping to the very first tab inside the app. 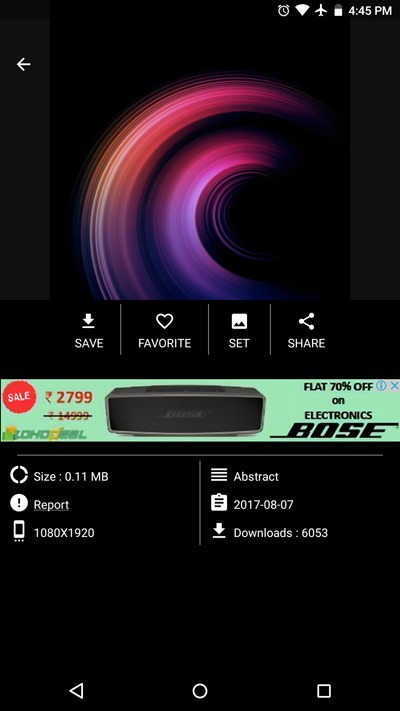 As the name suggests, the tab will shuffle the wallpapers according to a fixed criteria and the app currently shuffles wallpapers based on “Top 10” rating which can be done by clicking on the top-right corner as highlighted in the screenshot down below. 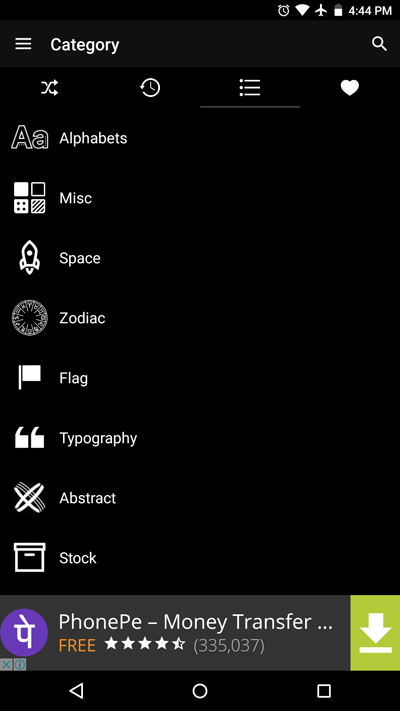 The third tab inside the app is the Categories tab which shows the wallpapers that are divided into different criteria like the Alphabets, Misc(miscellaneous), Space etc. 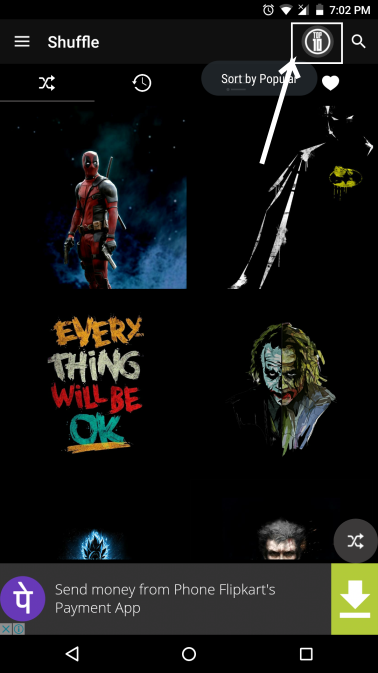 There is a wide range of wallpapers available in each category and there are many categories available as well. 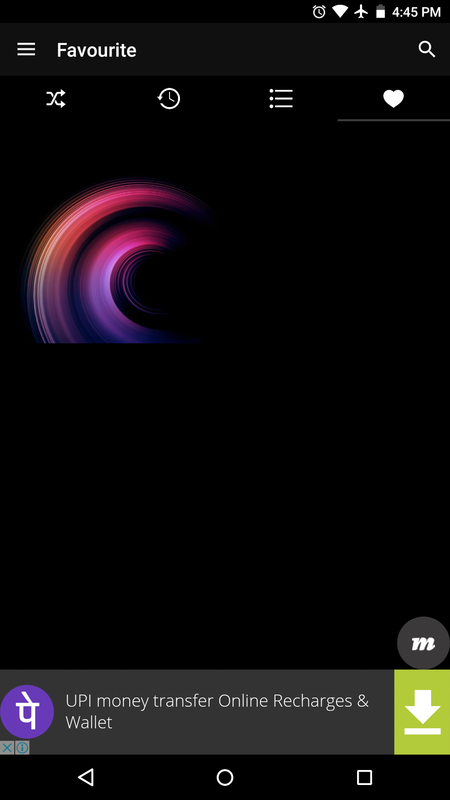 The last and final tab which is present in the Darkops app is the Favourite tab which shows the wallpapers that have starred by users. 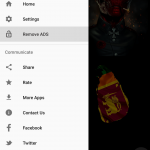 Now, in order to add any wallpaper to the starred tab then the user will have to tap on the heart icon. 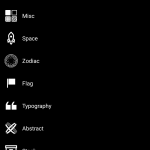 Before favoriting the wallpaper, the heart icon seen on the screen will be shown as an outline as seen in the below screenshot. 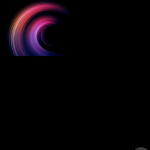 After selecting the wallpaper, the wallpaper selection screen will have a heart filled with white color which indicates that this is a favorited wallpaper. 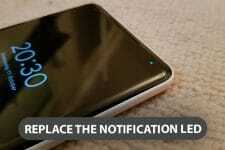 This can be seen in the screenshot down below. 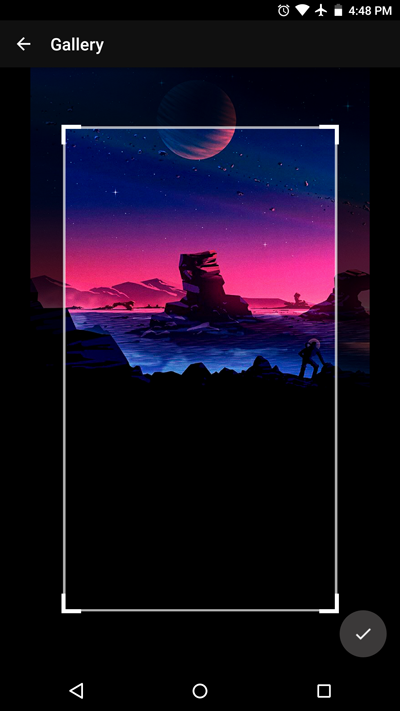 Once the user favorites a wallpaper, the wallpaper will be seen in a separate tab so that the user does not have to search for the exact same wallpaper when the user wants it for future use. 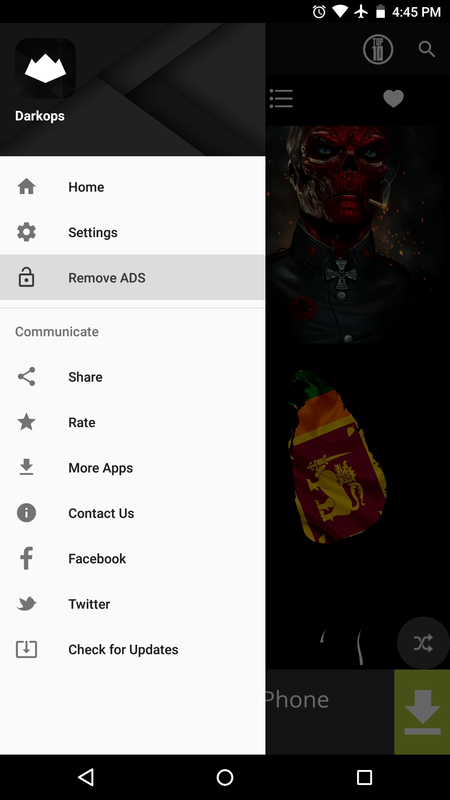 Apart from the 4 tabs that have been described above, the app although available for free on the Google Play Store, provides an option to remove ads inside the app and the option to remove the ads can be accessed by swiping extreme left inside the app so the navigation bar will be shown as seen in the screenshot. 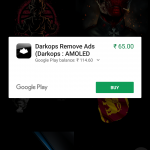 If the user selects the option to remove ads then there is a one-time payment option of INR 65 which removes the ads for lifetime inside the app. 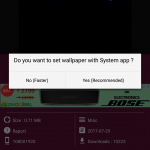 Talking about the wallpaper selection screen inside the app, the app provides an option to set the wallpaper to the device in two ways, one is to set the wallpaper with the system app which is recommended by the app whereas the other option is to select non-system app built-in with the app. 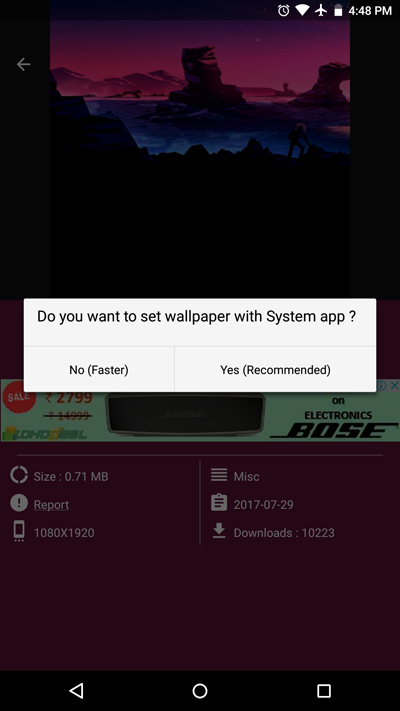 Do note that the app recommends the system app whereas the inbuilt option is faster. 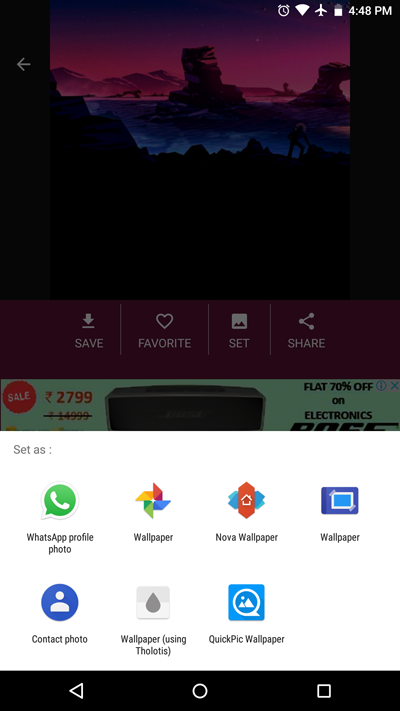 When the user selects the option to set the wallpaper with the system app then the app shows the various options through which the wallpaper can be set as seen in the below screenshot. 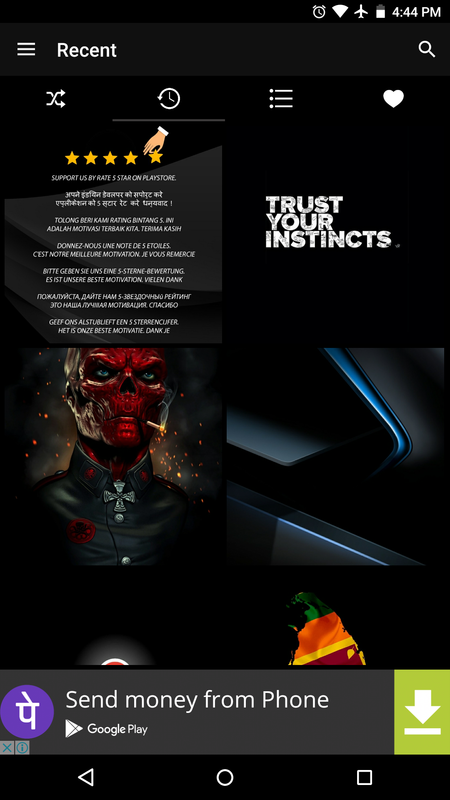 The Darkops app is available for free on the Google Play Store and provides a vast and varied range of wallpapers best-suited for AMOLED display. 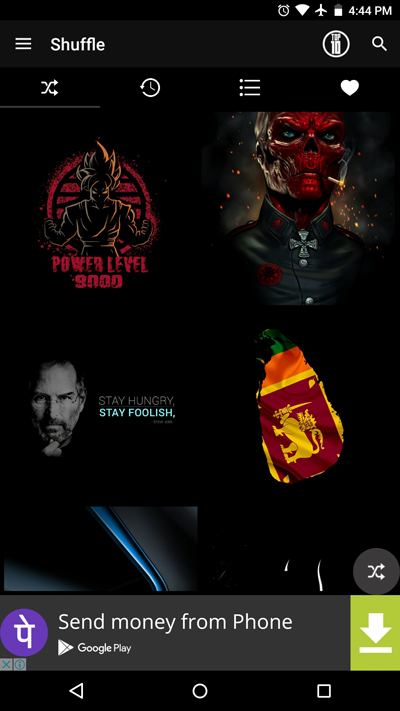 Make sure to have a look at the range of wallpapers available inside the app. Let us know your experience of using the app in the comments section down below.